Defence Turkey: Dear Mr. Ahmad Hamed Marar, first of all thank you for your time. Recently, you adopted a new format in your organizational structure as Aselsan’s Marketing Directorate. Could you please bring us up to speed on your responsibilities and personnel structure within this newly established institutional structure? Today, Aselsan is much bigger in terms of organization and more active in different fields and geographies than it was 10-20 years ago. In order to carry out its activities in conformance with the challenges in today’s international markets, continuous updates are implemented in terms of organization and responsibilities in each division. International Marketing Directorate is one of the key elements in Aselsan’s structure. As a result, we must keep ourselves up-to-date in terms of organization, responsibilities and personnel structure. Defence Turkey: Mr. Marar, Aselsan implemented a corporate marketing strategy for foreign markets in the past. However, Aselsan recently discontinued this strategy and each directorate has organized its own marketing team and is working in coordination with the corporate marketing department. What would you like to say about this operational method of this newly formed structure and the advantages it has brought to the marketing strategy? It is not correct to say that Aselsan discontinued its corporate marketing strategy for international markets. Aselsan is implementing today’s methods and strategies to keep up with the international market requirements. The new marketing organization exploits synergy of divisions in harmony. This is also a reflection of increased sales and broader access to variety of markets compared to the past. In the last couple of years, Aselsan entered about 10 new countries for the first time. Another very important improvement in international markets is the fact that Aselsan increased its export sales more than 300% in the very competitive South American Region and Asia-Pacific Region. These positive changes are all a result of Aselsan’s capability to adopt its strategies to meet today’s challenges. Defence Turkey: Aselsan’s total defense turnover reached the amount of $1,195 billion in 2016, which is an increase of 17% when compared to the previous year. According to 2016’s data Aselsan’s total turnover consisting of commercial and military projects reached a total of $1,243 billion. Additionally, Aselsan continued its ascent in the Defence Top 100 list and climbed up to rank number 57th. Within this context, how do you assess Aselsan’s export performance in 2016 and 2017? Could you please inform us about the financial size of Aselsan’s overseas sales according to the data of 2017 and its main areas of activity? In 2016, the value of our export contracts was 55% higher than 2015. In 2017, we expect to keep this level around the same value. In terms of areas of activity, as anticipated, the main share of the export sales is from our main areas. On the other hand, we are very glad to see that the variety of products and systems that we export is increasing. For example, in 2016 we realized the export of Submarine Systems to Indonesia, Electronic Warfare Systems to Chile in 2016 and 2017 and Toll Collection Systems to Macedonia in 2015. Defence Turkey: Mr. Marar, the equilibrium between local and overseas sales is crucial for a company with a global reach such as Aselsan. When the overall sales figures of the last five years are analyzed, what kind of a picture emerges regarding the future within such a framework? What type of a strategy should be adopted in order to increase the growth curve and to increase it in a sustainable and controllable fashion? The last 5 years have been an important part of our international business strategy. In this period, we established Joint Ventures (JVs) in Kazakhstan, Jordan, United Arab Emirates, Saudi Arabia and also established offices in South Africa, Malaysia and Qatar in addition to the national investments like the Sivas Electro-Optics Facility. The main idea behind these investments comes from the need to increase the existence of local identity in international markets. As a result, in order to strengthen our competitiveness and to keep a sustainable increase in exports in different markets, we have to carry on our investments. 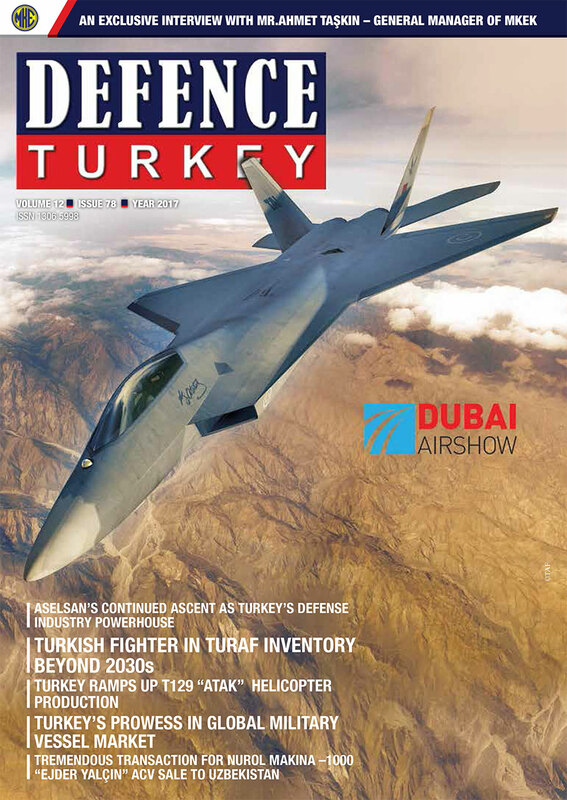 Defence Turkey: In the recent period, countries such as Qatar and Saudi Arabia that remain in Turkey’s focus are included in Aselsan’s marketing strategy and Aselsan has a tendency towards a permanent structure in these countries, launching Aselsan offices in order to render marketing activities more effective. Which requirements and deficiencies have steered Aselsan towards opening such offices in these regions? What are your corporate expectations following the launch of these offices? Middle East is one of the most active defense markets in the world. Looking at the current situation in the region, it is not difficult to anticipate the continuation of defense expenditures for the Middle Eastern countries in the near future. Aselsan’s existence in the Middle East has a long history. In recent years, we have focused more in this region. JVs in Jordan and the United Arab Emirates can be deemed the first steps of our new strategy. The Qatar office and Saudi Arabia investment should be regarded as successive steps. The aim is to enhance our relations and establish long-lasting cooperation with these countries. Defence Turkey: It is clear that critical strategic decisions were agreed upon institutionally in preparation, based on the feasibility study, prior to the launching period of these offices and prior to the commencement of their operations. What type of a long-term strategy was established corporately to build such formations? Will there be comparable initiatives in other regions in the upcoming period? It is important to directly contact the customers, introduce capabilities of your company, brief them on your products, provide solutions to their problems, as well as respond quickly to their requests and necessities. This is only possible through local offices or companies. As one of the global defense players, Aselsan will continue to grow a local presence in international markets when and where there is potential. Defence Turkey: In line with the joint production and joint development strategy, Aselsan possesses JV (Joint Venture) companies that are active in countries such as Jordan, the United Arab Emirates, Kazakhstan, Azerbaijan and Saudi Arabia. How do you assess the 2016-2017 performance of these JV companies that were established in order to cater to the requirements of all the neighboring countries in these regions? Aselsan Baku is the oldest international affiliate of Aselsan, followed by Aselsan South Africa (ASA). With the establishment of Aselsan Middle East in Jordan, IGG Aselsan in the U.A.E. and SADEC in the Kingdom of Saudi Arabia our existence in foreign countries expanded and the capacity of the former three increased. While total sales of these JVs were $ 7 Million in 2013, this figure increased to an average of $ 40 Million per year within recent years. In this respect, I can confidently say that we are on the right track. Defence Turkey: Can you provide an update on the progress of the construction and infrastructure activities of your facility that will enable the design, development, production and sale of the Radar, Electronic Warfare and Electro-Optical Technologies in Saudi Arabia, which is to be built by Aselsan and the Saudi Arabian public corporation TAQNIA Defense and Security Technologies (DST)? This facility is expected to have technological infrastructure and equipment similar to your facility in Gölbaşı. When will this facility officially be launched and operational? Aselsan’s latest joint venture company, Saudi Defense Electronics Company (SADEC), began its operations in the Kingdom of Saudi Arabia as of April 2017. The mission of SADEC is to provide high-value-added, reliable defense electronic products and solutions to both local and foreign customers as well as fostering innovation and contributing to the technological independence of the Kingdom of Saudi Arabia. SADEC will play an important role to support the Kingdom’s plan to localize over 50 percent of its military equipment spending. In addition, SADEC will support and establish the ecosystem of Saudi Small and Medium Enterprises (SMEs) in the defense electronics field in the Kingdom of Saudi Arabia. Construction of the main facility is planned to start in 2018. The main facilities and infrastructures for SADEC is expected to be operational within the next 2-3 years. Defence Turkey: Aselsan has accomplished export activities in various areas in to two significant countries, Chile and Uruguay, in the South American market in recent years. Moreover, we are aware of the fact that you have been executing efficient marketing activities in other South American countries such as Brazil, Colombia and Peru. What are your remarks on the programs that you closely follow and the projects that you conduct in these regions? Aselsan has been actively conducting its marketing activities in South America for more than 10 years and recently we are absolutely delighted to witness that these efforts have been generating favorable results on our part. Although, not only the geographical distance and financial matters such as after-sales logistic support costs but also the political and economic turmoil that emerge often in the region might present themselves as challenges for South America, we have adopted diverse approaches to tackle these obstacles. Our strategy in the region has been to establish long term local representation that have strong connections with the procurement authorities in each country. We also have regularly participated in the principal trade exhibitions, namely FIDAE in Chile and LAAD in Brazil, in order to showcase our capabilities and to enhance the recognition of the Aselsan brand. Moreover, in our international marketing departments, we have preferred to employ personnel who speak the local language and are familiar with the culture of the region. The above-mentioned efforts have helped us secure four contracts in Uruguay regarding military communication and mobile border surveillance systems. In 2015, Chile was named our second customer in South America, which opted for Aselsan’s Electronic Warfare Self Protection Systems for their “Cougar” helicopters. The mutual trust we have managed to build with governmental and military authorities in Uruguay and Chile not only enables us to increase our involvement in the ongoing and upcoming projects in these countries, but happens to be an essential reference for other markets that we aim to penetrate such as Brazil, Colombia and Peru as well. We will effectively continue monitoring the region for further opportunities in the military and security domain and minimize our risks by closely observing political, economic and social circumstances. We should continuously and consistently proceed with what we have done right until now in order to have a sustainable presence in South America. Defence Turkey: Intergovernmental relations and state subsidies play essential roles in the establishment of an efficient structure in the South American market. The Medium Weight Modern Tank Development Program namely “Kaplan” was initiated through a local partnership built by FNSS and PT PINDAD companies in line with a Government to Government model formed by the Indonesian and Turkish governments. It has been one of the very first programs to be constituted by Turkey in accordance with the G2G model. In the upcoming period, within the scope of such intergovernmental cooperation programs, in which Aselsan will also be involved in, will you launch initiatives for the implementation of such activities in other regions or continents? Perhaps South America being of priority, with the inclusion of the knowledge transfer model? To this end, do you have any contacts with both Turkish authorities and the authorities of the relevant countries? In the international arena, Aselsan has always been open to communication, to share the technology it possesses with friendly countries and to discuss the extent of local industry participation where the dynamics of the specific market requires us to do so. The demand for the technology transfer and the incorporation of local content has been an increasingly common requirement for a majority of developing countries in their procurement plans and is one of main factors that affects the final decision. In South America, for example, Brazil obligates foreign bidders to form partnerships with local companies and deems local joint production compulsory for their big budget programs. Speaking of South America, government support is also solicited and offering a G2G model plays a crucial role during the evaluation process of the decision makers. In such territories, we base our strategy on proposing to the customer a complete package including the technology transfer, local industry participation and the support of the Turkish government. The contract we signed in Chile regarding the EW Self Protection Systems for helicopters is a good example for a G2G model where Chilean Armed Forces specifically asked for government support. And this is what happened. We are grateful for the support of the Turkish government when needed and the G2G model will always be a part of our strategy while negotiating with the customer independent of the region. Defence Turkey: Several technical threat reports have indicated that with threat perception increasing each passing day in the Asian- Pacific countries and the countries of the Far East, there will be a considerable increase in defense budgets in the upcoming period. This will surely create a significant share for major companies with technological infrastructures such as your company. What type of a road map will Aselsan embrace in an effort to get a slice of the cake? Could you please share with us your strategies regarding this issue? The Asia Pacific Region will be the focus for variety of fields in the upcoming years. Aselsan has already been active in the region, with involvement since the end of 1990s. In the last couple of years, we increased our activities and as a result our sales in the countries of the region. We aim toward increasing our export activities through different methods and tools in the region. Our main advantage is that Aselsan has a variety of field of activities that can couple with a market share. We can provide every sort of electronics equipment that an army may require. Our primary strengths are our engineering force and capability to provide tailor made system solutions based on the customer requirements with very competitive costs. In addition, our doors are wide open to transfer of technology and cooperation with local industries for our allied countries. In this region, this gives us a huge advantage compared to our competitors. As a result, Aselsan is looking forward to becoming a major defense supplier in the Asian Pacific Region. Defence Turkey: What are your comments on your existence and activities in the African market especially in the North African countries and in South Africa? 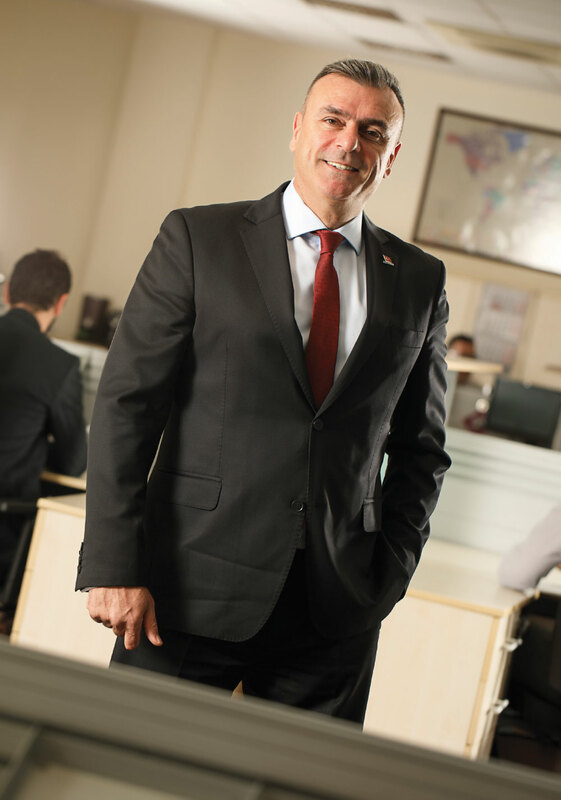 Aselsan has long served the North African market and continues its activities with the same aspiration. As a result of our marketing and business development efforts, we signed significant contracts in this region. The South African defense market has long been suffering from budget restrictions. New procurement programs are pending on the agenda. During this period, we are strengthening our relations with local companies in terms of developing joint programs for South Africa and third countries. Defence Turkey: Lastly, is there a message that you would like to convey to the readers of Defence Turkey magazine?